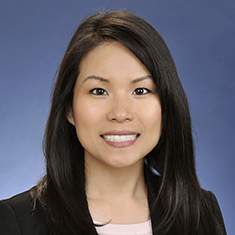 Ahree Song concentrates her practice in litigation matters. She focuses on matters that include securities and trade secret actions. Prior to joining Katten, Ahree served as an inaugural law clerk to the Honorable Martin R. Barash of the US Bankruptcy Court of the Central District of California. While attending law school, Ahree served as a note and comment editor for Loyola of Los Angeles Law Review. She also served as a judicial extern for the Honorable Sandra R. Klein of the US Bankruptcy Court of the Central District of California. Before law school, Ahree worked in the hospitality industry in various roles and locations across the country. Shown below is a selection of Ahree’s engagements.